Although it often goes ignored, the chimney is a lifesaver. Without a properly working chimney you sure don’t want to start up your fireplace. The inner workings of your chimney protect your home from the potential dangers caused by fire and outdoor elements. 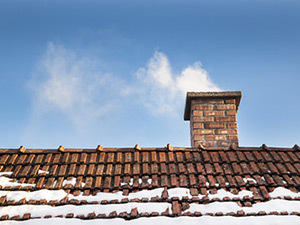 If your chimney is not in good condition, a number of big problems can arise. While keeping up with your chimney is of utmost importance, so is installing the right chimney to begin with. Here we provide answers about the different types of chimneys, and how to pick the best chimney for your home. 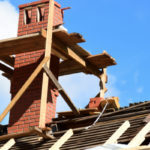 When you think of a chimney, a masonry chimney is likely the first image that comes to mind. A masonry chimney is made with bricks, stone, or concrete brick, providing a very aesthetically pleasing appearance popularly used on homes. Masonry chimneys can provide a lot of durability and safety, so long as they are properly built and maintained. For instance, chimneys must include a fire clay flue lining and bricks that are at least 4 inches thick. For stone masonry chimneys, the stone must be at least 12 inches thick. What Is A Factory Built Chimney? The majority of homeowners install masonry chimneys because of appearance and functionality. When properly put together, your masonry chimney will provide you with many benefits a factory built chimney will not. 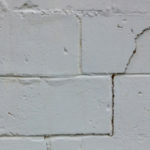 -Brickwork can last for 100+ years! With proper maintenance your masonry chimney will prove to be a long lasting investment for your property. -Masonry chimneys offer the opportunity to personalize. Allowing you to customize the outer appearance of your chimney to match your home and overall style. -A Masonry chimney is installed brick by brick, or stone by stone. So when the time comes to do repairs on your masonry chimney you don’t have to take the whole thing apart. Instead, you can fix only what is broke or weak. -Since masonry chimneys are built on the spot at your location, they are built to work with your exact needs, reducing the potential for preventable problems. What Type of Mortar Is Best For A Masonry Chimney? Masonry chimneys are formed and held together using one of many different types of mortar. You might assume choosing a great mortar is simple; after all you just want the strongest type of mortar available. Think again though, just because a mortar is incredibly strong doesn’t mean it’s right for your particular project. In most instances, you want your mortar to have some give to it. Otherwise, a lot of excess pressure can be burdened onto the bricks. A number of things should be taken into consideration before applying mortar to masonry work, consulting a professional is highly recommended. 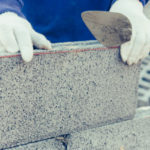 Type S mortar is often used on outdoor projects that include stone masonry work. Best known for being super strong, type S mortar is great for foundations, retaining walls, and any structure that must bear a lot of impact. 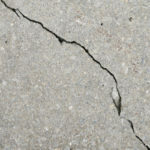 Type M mortar is the strongest mortar you will find on the shelves of your local home improvement store. This load bearing mortar is often used for stone masonry because the two materials form together really well. Glass block mortar is basically type S mortar that has been tinted a different color in order to match glass blocks as opposed to bricks. Instead of gray, glass block mortar is white and can also be tinted other colors to better match the materials being used.